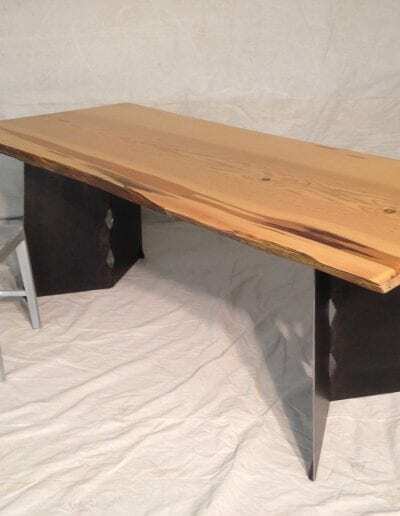 Live Edge Conference Tables are available in a range of custom sizes up to 20 feet in length, 5 feet in width and from 2 to 4 inches thick. 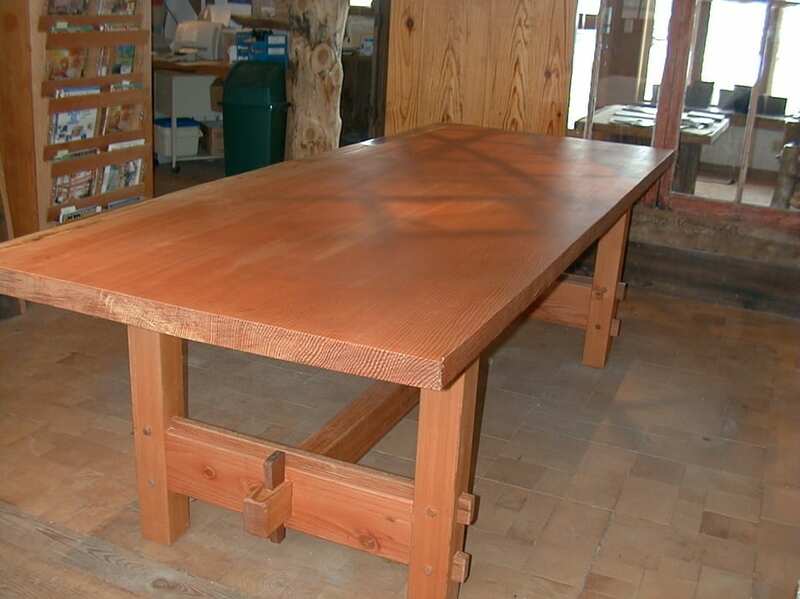 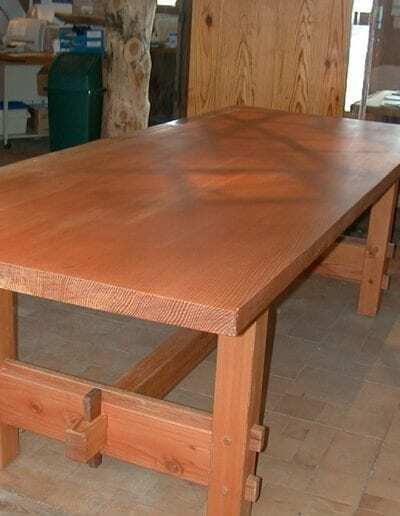 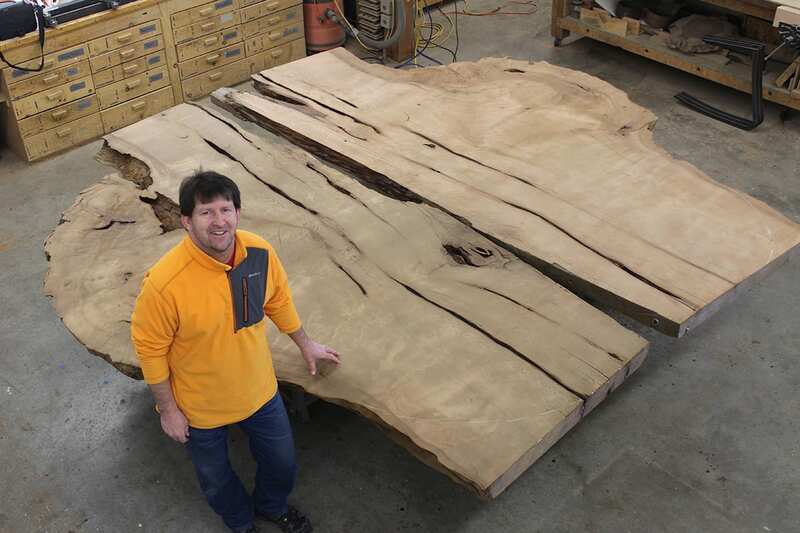 Big Timberworks will create a table to suit the space that you are intending to place it in. 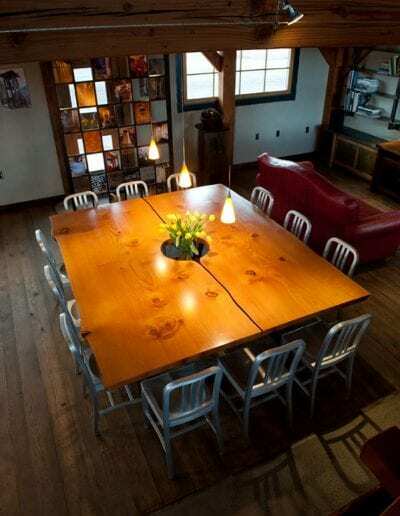 Bring the dimensions of your conference space and work with us to create a table as unique as your business. 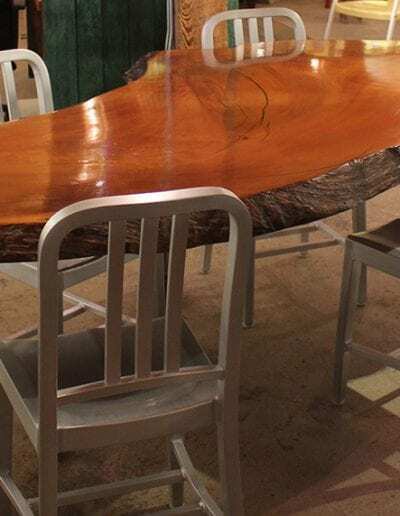 Let the story of the timber show through and enhance the quality of your business interactions with a one of a kind design. 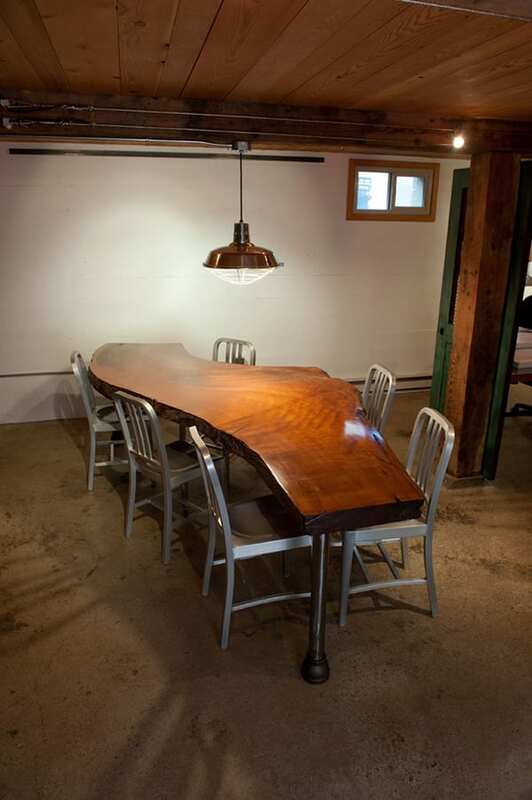 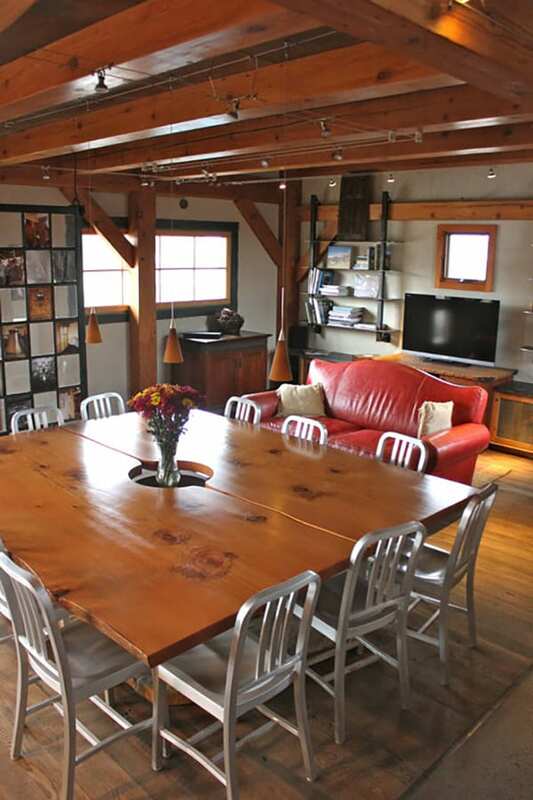 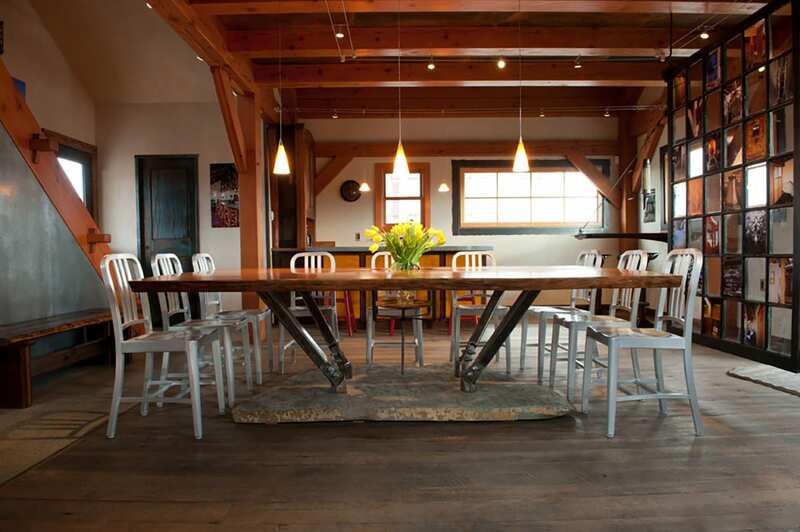 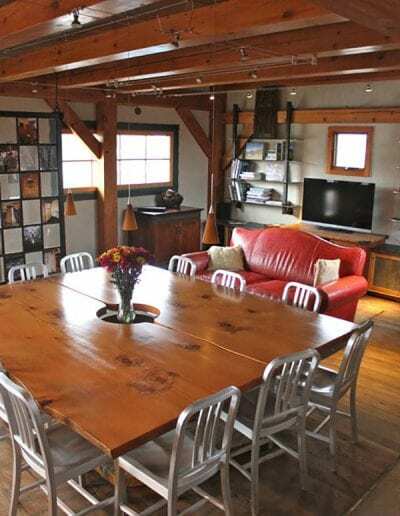 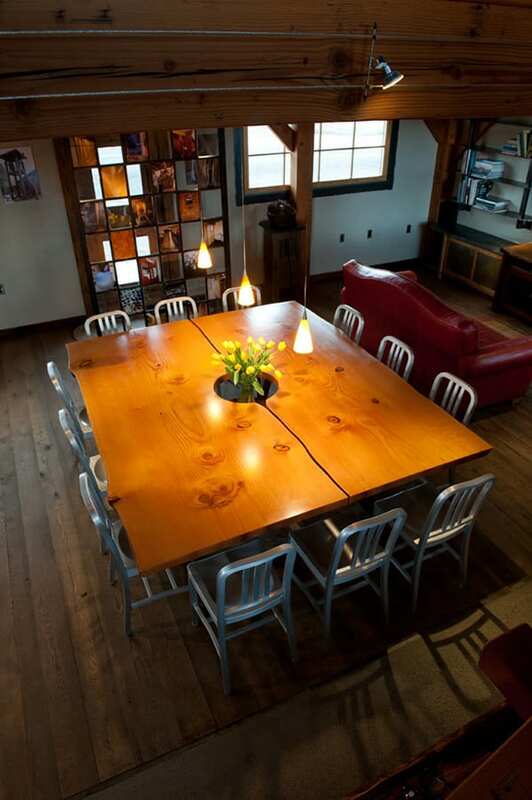 Contact Big Timberworks today and you can peruse our live edge and reclaimed timber inventory to find the slab that will make the perfect piece for your conference room. 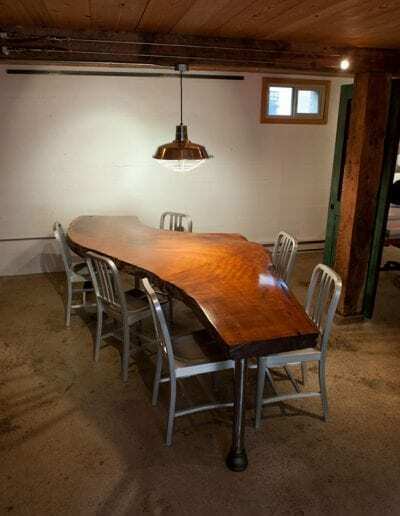 We will help you choose the correct timber and craft it into a Live Edge Conference Table that adds character and creates a place to start a conversation. 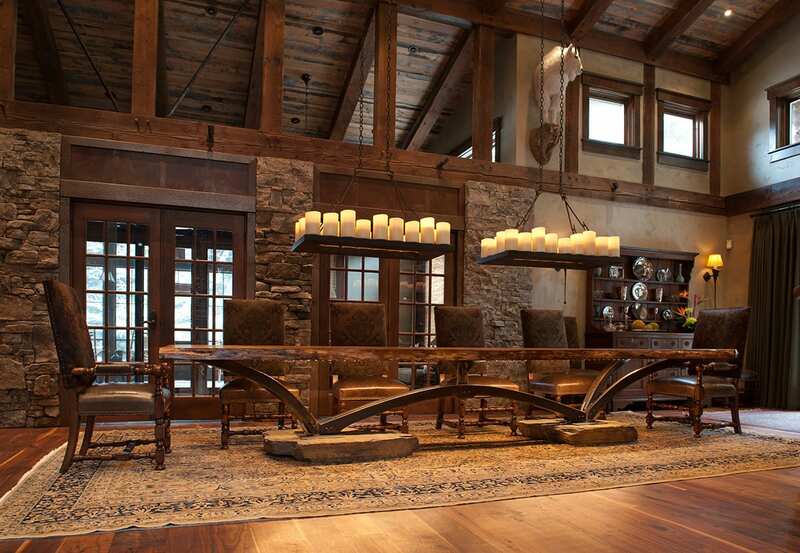 Furniture can make a statement. 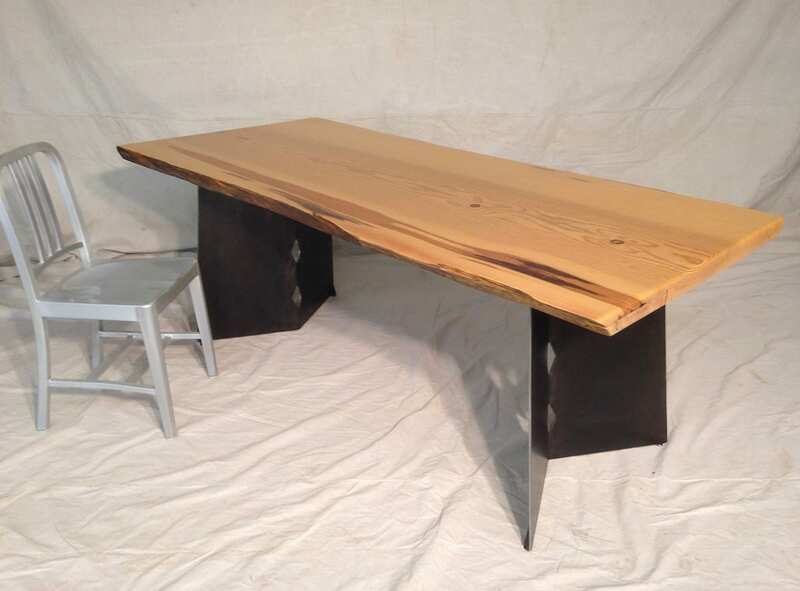 Live Edge Conference Tables not only make a statement but also they are a truly unique item to have in your office. 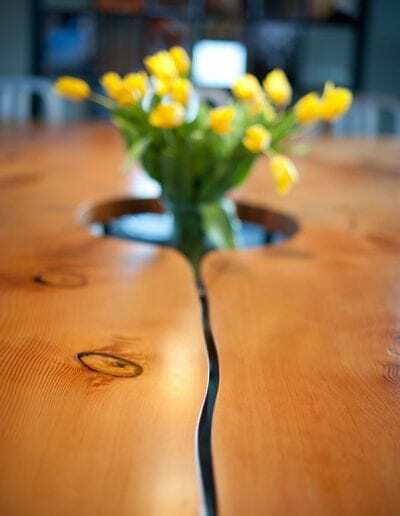 An ice breaker that not only starts conversations, the natural landscape of the table edge contrasting with the smooth table top inspires ideas and the natural flow of creativity. 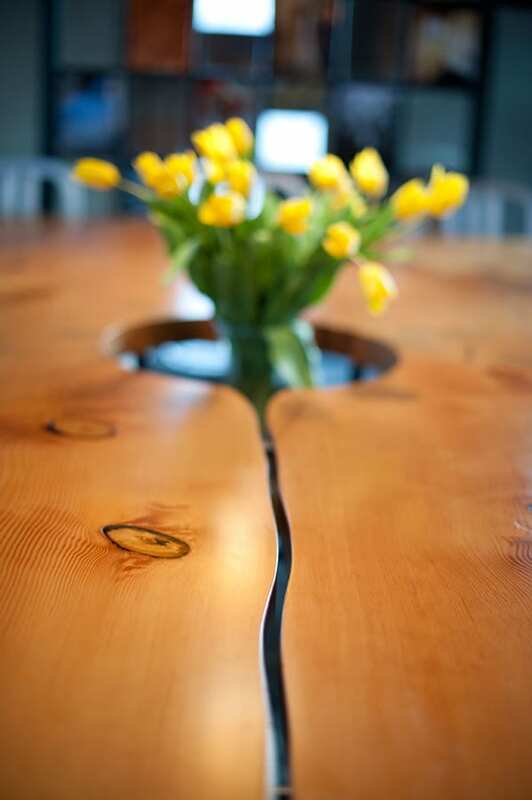 Created from a single piece of timber, Live Edge Conference Tables follow the natural form and vary in dimensions. 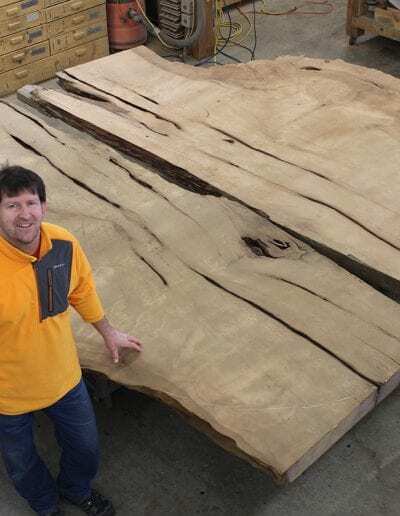 Our slabs are carefully selected to provide a usable surface with a beautiful edge full of the life of the tree that it came from. 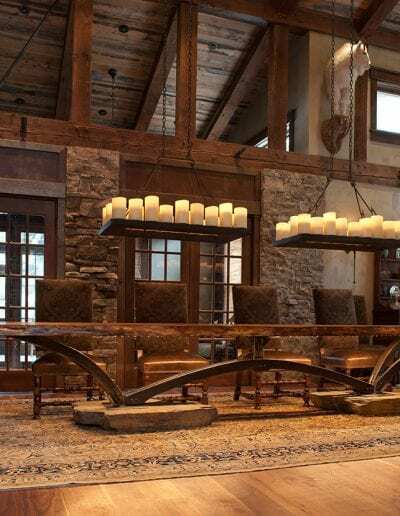 At Big Timberworks, craftsmen take care to capture the natural beauty of the piece and enhance it in a way that will give a feeling of warmth and welcome to any situation.